How to deal with police | Yavitch & Palmer Co., L.P.A. Whether you think you’ve committed a crime or not, being approached by a police officer is nerve-wracking. What are your rights? What should you say or not say? Don’t accidentally incriminate yourself—learn your rights from a criminal defense attorney so you can be prepared to protect yourself and potentially your freedom. 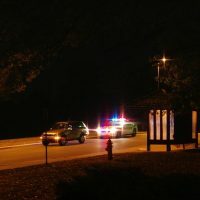 If you get pulled over, you should be able to provide identification and basic paperwork (insurance and registration). Be aware that anything you do or say is probably being recorded by video and/or audio. This means virtually anything can be reviewed later in court. Remember officers’ badge numbers, patrol car numbers and physical descriptions and write them down. Don’t give the officer an excuse to search. In fact, an officer only has the right to search your vehicle with probable cause. Don’t talk first, especially if it’s something provoking or hostile, or insisting to know why you were stopped. Do not touch, interfere with or obstruct the police—you can be arrested. You have the right to a criminal defense attorney if you are arrested. Ask to speak to one immediately. If you have been approached or detained by an Ohio police officer and believe your rights have been violated, contact the Columbus criminal defense attorneys at Yavitch & Palmer to discuss the details of your legal situation. To schedule a consultation please call us at 614-224-6142 or fill out our online contact form. Contact Stephen Palmer and learn more about his 19 years experience as a Columbus DUI attorney.